If the CPU is the heart of a computer, the motherboard is its circulatory system. The motherboard is a vital component of any PC, but it can be easily be overlooked and skimped upon when you are building. I don’t recommend skimping on any PC part, PSU especially, but the motherboard can make or break your build. Make sure it has all of the connections you want, USB3, SATA III, VGA, HDMI, DVI, AMD Crossfire, Nvidia SLI, audio connectors, whatever you require. Since the motherboard lays the foundation for the rest of your build, it is best you get it right the first time. 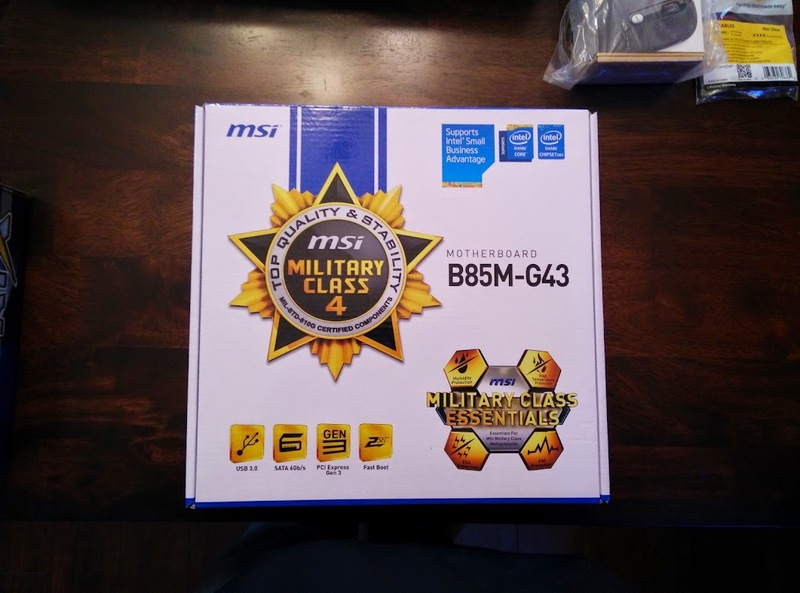 I chose to use the MSI B85M-G43 because I felt like it had the best value/quality ratio per my needs. It had available connections for everything I wanted and more. A PCI-Express 3.0 x16 slot for modern graphics cards. For when, and if, I get a GPU in the future. 2x PCI-Express 2.0 x1 Slots for TV tuner cards. 4x DDR3 slots for RAM upgrades, if necessary. 6 USB ports (2 USB3 on the rear panel, there are two more USB3 ports on the front of the case for a total of 4) and 4 USB2. That should be enough, even though there are two more USB3 connections on the board. Realtek RTL8111G LAN, for wired networking. The motherboard and case perfectly aligned and made installation very easy. Position the I/O shield, position the motherboard so it lines up with the I/O shield and the standoff screws, tighten the screws that connect to the standoffs and you are good to go. I only encountered one problem during my motherboard installation. If you look at the picture above, you will see a large blue USB3 connector at the top of the board, near the 24-pin power connector. In front of that are the mounting holes for the storage drive stand. I took the stand out to have more room to install the motherboard, you can see it in the photo near the top of this post. The USB3 ports for the front of the case need to be connected here, if that connection is made, it would be physically impossible to re-install the storage drive stand. So I had to make a choice. No front USB ports or no storage drive stand? Considering where this PC will be stored, having easy access to two USB3 ports easily won that battle, I would need to find another place to mount my storage drives. The motherboard you choose may have the same issues, it might not. 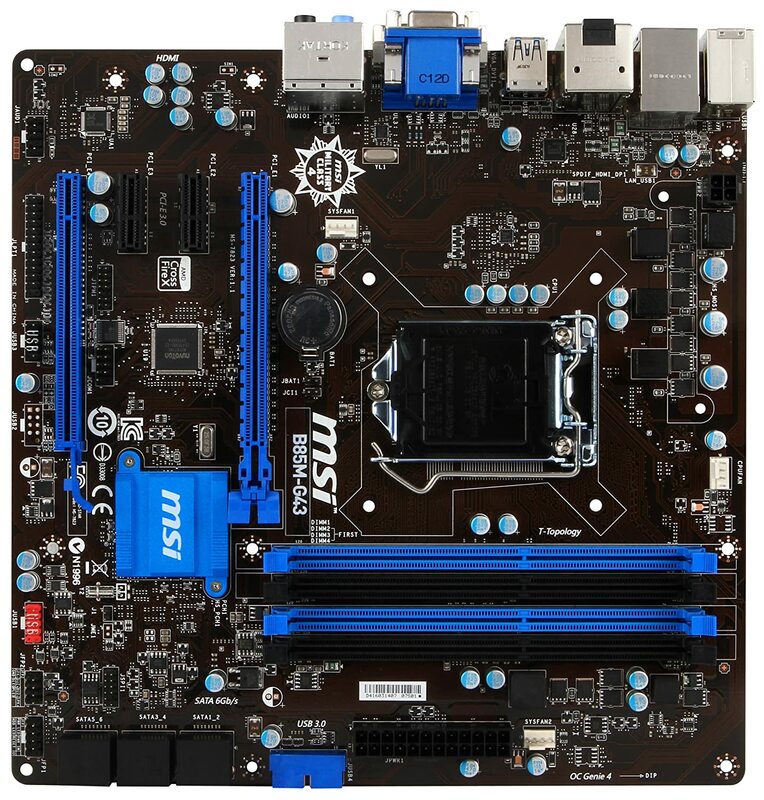 It all depends on how the manufacturer designed the board, no two motherboards models are exactly alike. Considering everything that could have gone wrong, it wasn’t really that big of a deal. Luckily there are a few more places where I can mount a storage drive. But you might want to be aware of where your important motherboard connections are before you decide to purchase. The Silverstone ML04B case has room for 4 80mm case fans. Considering where I will be storing my HTPC (cramped quarters & not much room for airflow), I decided to add two additional case fans to my chassis. You don’t need to add any extra case fans, they are not required for a normal PC build, but it’s a good idea if your situation is like mine. The two case fans should provide adequate ventilation and cooling to remove excess heat from the inside of the case. Only one side of the ML04B case has room for additional case fans. The fans are virtually silent, which is ideal for an HTPC build. I chose the above mounting positions based on where I think extra airflow could be useful. But feel free to go for all four mounting locations, it won’t hurt anything. Your motherboard might not be able to power all four case fans (not enough 3-pin fan connectors, mine had only two), but there are other ways of getting power to a fan, consider that before purchasing four fans. 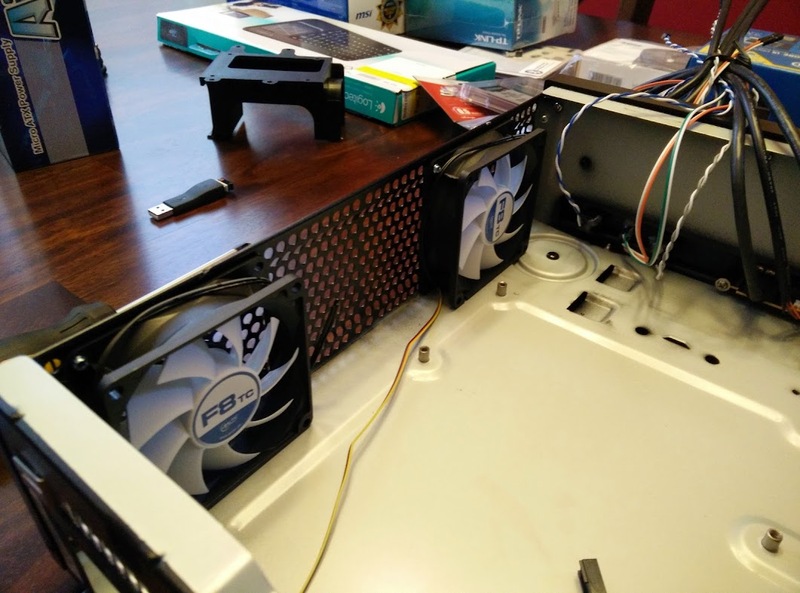 Usually, you want to create linear airflow throughout the case, but considering the fact that you cannot mount fans anywhere else on the case, I figured it would be best to try and draw away as much heat as I can.